Denoting a large family of pulse, lentils are seeds which come in a wide variety of colours and sizes, the most well-known being green and puy. 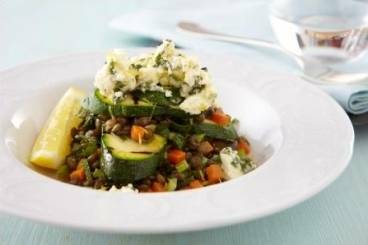 High in protein, lentil dishes are a popular choice for a healthy meal as lentil soup or stew is both filling and nutritious. A light lentil cream served with pan-fried foie gras and toasted pine nuts. A roasted butternut squash, red onion, pepper, courgette and lentil salad served with a spicy chilli, garlic and tomato dressing. Green lentils scented with bay leaf and thyme cooked with carrots, shallot, chives and smoky bacon pieces. A light curry dish perfect for serving as an accompaniment to a main course or rice dish. A quick and easy Spanish stew that is hearty, warming and uses cheap ingredients. 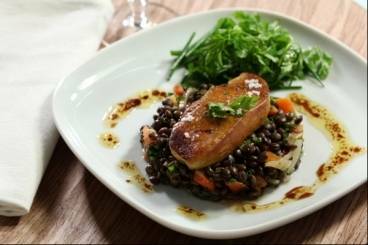 Warm, aromatic Puy lentil salad served with flaked hot smoked trout fillet. 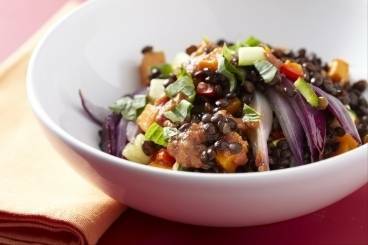 A basic recipe for the famed lentil dhal, however, it can be used as a springboard for any variation you can think of.